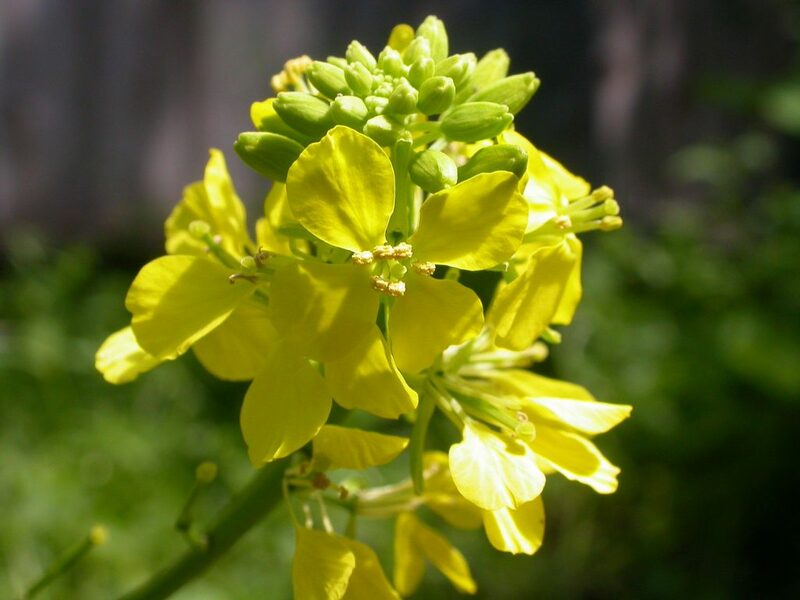 Brassica nigra plant in bloom. commons.wikimedia.org (Accessed 11/2017). 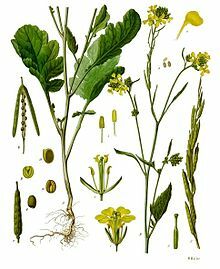 Brassica nigra is an annual herb to 1.5 m tall, stem rough-hairy below, hairless, waxy-pale above. Leaves alternate, lower leaves, divided, with a large terminal lobe, lobes toothed, upper leaves toothed, smaller, all leaves stalked. Brassica nigra flowers. commons.wikimedia.org (Accessed 11/2017). Flowers yellow, to 1 cm, 4 petals. Fruit capsules linear pointing upward, to 2 cm long, 4-sided, seeds 0.2 cm, wrinkled, contain sinigrin, a precursor of a mustard oil (see horseradish) (Kingsbury, 1964), June-Oct.
Brassica nigra. plant. en wikipedia.org.jpg (12/2014). 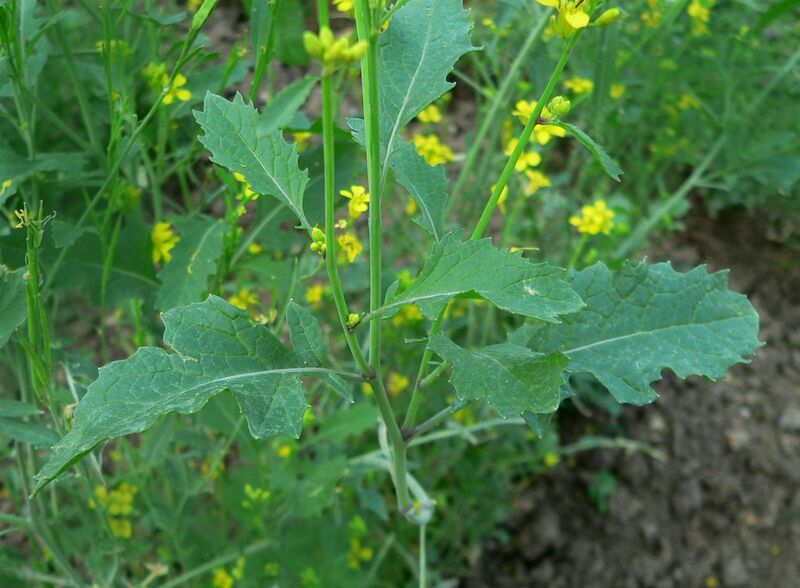 Habitat: Agricultural weed, in open disturbed areas.